On November 29, 2018, Danish Princess Marie visited European School Copenhagen in Carlsberg City district and opened the new building of European School . 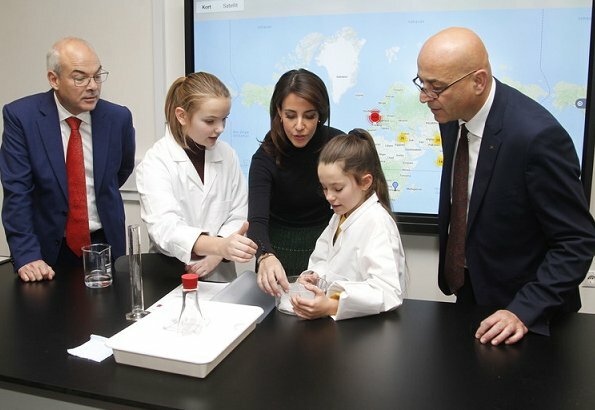 Princess Marie cooperates with European School Copenhagen in order to help strengthening education programmes and other activities of the school. The European School Copenhagen is a public international school with high academic standards. The school offers a multicultural and multilingual education for nursery, primary and secondary students. (Princess Marie wore a new skirt by Baum und Pferdgarten). Pss Marie's skirt today I am really not a fan of it. Marie as always nice and simple dressed for a day event … and sometimes a bit boring too. Indeed,I like the shirt,but not the tartan blouse/sweater … it would have been too much together. Nice and appropriate for the event . I like the skirt. I guess it's black turtle neck day... both Sophie and Marie. This outfit - given also the occasion it was worn for - it's a lot better in my opinion. It's also much more inclement weather than in London. So it's alright - I suppose. I still think there are more stylish options that would accommodate the low temperatures (and I am willing to bet that those outfits already exist in both Marie's and Sophie's closets, they just need to look with more specific intent). 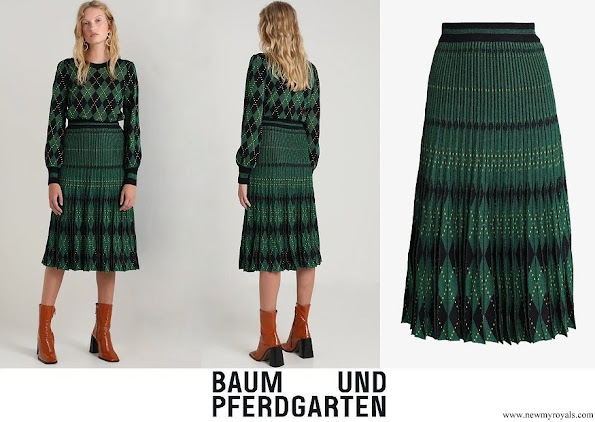 Princess Marie's skirt and black sweater are a very nice and suitable winter combination, good length ……can't say the same about Princess Stéphanie's red skirt !